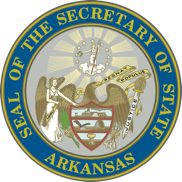 The Arkansas Secretary of State Office is responsible for the collection of the state’s mandatory franchise taxes. Companies who conduct business in Arkansas are required to pay this annual tax, with the first $8 million placed into the state’s general fund and the remaining balance into the Education Adequacy Fund, which provides funding to public schools and higher education. The Arkansas General Assembly’s Act 94 of 2003, Arkansas Code Annotated as 26-54-104, adjusted the state’s franchise tax and changed the tax deadline date to May 1st of the payment year. d)(1) Every corporation that dissolves shall be required to pay at the time of dissolution the franchise tax for the prior calendar year and pay at the time of dissolution the minimum franchise tax for the year in which dissolved or withdrawn.